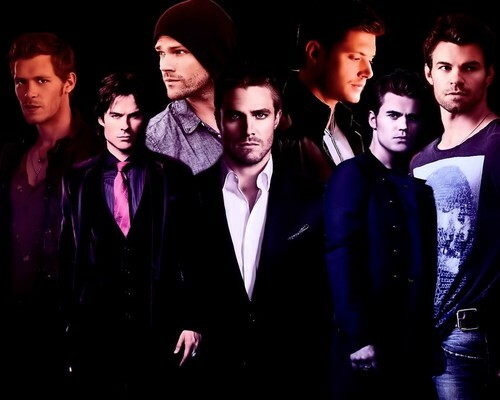 Joseph, Ian, Jared, Stephen, Jensen, Paul and Daniel. . HD Wallpaper and background images in the Supernatural club tagged: photo. This Supernatural wallpaper might contain completo and vestito di affari. as much as i love this where is misha and grant ?